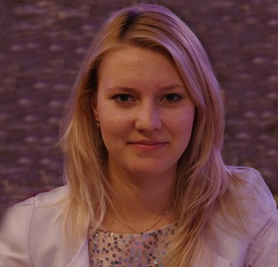 Lee Elena Sergeevna, by nationality – Russian, a citizen of the Republic of Kazakhstan, higher education, graduated from Karaganda State Technical University in 2010 with a degree in Geology and exploration of mineral deposits. Lee E.S. In September 2010, she entered the magistracy in the specialty “Geology and Exploration of Mineral Resources” and worked part-time in the Department of Geophysics and Geology as an assistant on June 30, 2010, and taught the second course on the subject “Geo-mapping and DMI”. At the end of the magistracy. From September 2011 until June 2012 she worked at the Technological College at KSTU as a teacher and conducted classes for the specialty “Transportation and storage of oil and gas” in the following disciplines: “Oil and Gas Business”, “Underground Gas Storage”, “Gas Oil Pipelines” using innovative technology, multimedia learning tools. She was also the curator of the group 9KNG-10, actively participating in the public life of the college. Since September 2013 and up to the present time she has been working at the Department of Geology and Gas as a teacher of the department and conducts laboratory and practical classes in the following disciplines: “Geo-mapping and DMI”, “Geophysical equipment and equipment”, “Operation of oil and gas fields”, “Laboratory methods of mineral exploration” “,” Non-traditional minerals “,” Petrology “. - Patent No. 70879 dated January 14, 2011, “Method for controlling ash content of coal by gamma scattering”. The participant of the International conferences: “Science and education – the leading factor of the strategy” Kazakhstan – 2030 “,” Information and communication technologies in industry, education and science “,” New ideas in the earth sciences “.